Movies and TV Series are great for relaxation and sometimes, many of us use it to entertain ourselves while bored to earth. But the worst is not being able to blow too much on Amazon Prime or Netflix. While this could be a set back especially if you’re a real Hollywood fanatics as you get the latest top movies and series from the Hollywood industry on demand. But there are still some services that allows you to stream movies online without actually spending a dime. Which is great. All you need is an internet connection strong enough to connect and stream motion pictures directly on your device. YouTube movies offers you a free to watch series and movies directly on the service. While YouTube is world largest video sharing platform, you should expect that there would be countless movies on the website for God sake. While these movies and series are ads supported, you might be getting a little bit of pop and pre-loaded ads here and there. Well, it’s free so you have to give the publisher that gift of viewing their advertisements so they can make money and publish more videos in the future. Also, there are specific free film channels that specifically host movies on YouTube. They usually have the Public domain inscriptions on them (not all actually) But big channels like Public Domain Films and Public Domain Cinema or Popcornflix host full movies via YouTube. While getting the precise movie you want on YouTube could be as though you’re hunting treasure, you should be patient and keep searching while you get what you want. If you’re trying to look elsewhere for better option and easy to sort through, then Crackle might be another great option for you. While the service simply syndicates contents from original productions, Crackle might be the right place for you if you’re a real movie fanatic. While there are some High Quality movies on this website, there are also TV Series that are great and cool. For example, you’ll find the Blue Exorcist, Seinfeld and other great TV series straight out of the box while they’re launched. Movieninja.io doesn’t actually host Movies or TV Series per see. They basically link you to websites that host these websites for you to stream at your discretion. One notable thing about Movieninja.io is that they offer you links to websites that offers high quality movies. This makes it possible for you to easily get updated with the latest movies in the Hollywood industry at large. While some big movies might take longer before they’re on for free and legal streaming on this website, patience might be a great virtue as it’s completely free especially with the quality of movie websites they links you to. This is another great ads-supported free movie streaming website you can count on in 2019. These service consistently upload latest movies from Hollywood best making you stay up to date with the best movie in the industry. One thing is that to stream movies for free on VUDU, you must first create a free account. And that shouldn’t be a major problem if you want to be visiting the platform on a consistent basis so that you can get updated while new movies are being released. This is another free to stream movie hosting website that allows you to watch free and latest movies and series. 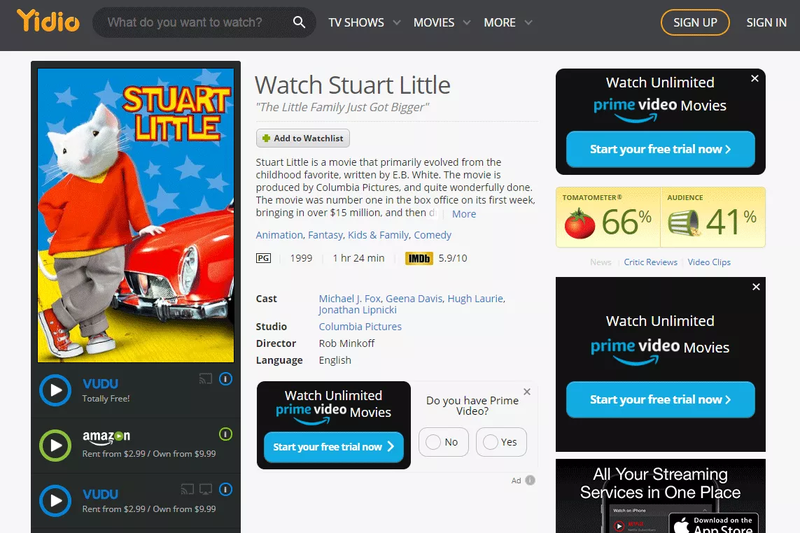 It has a section for highly rated movies and series, and a section for suggesting a movie that users want to be included in the library. This makes it easy for you to see what movie is highly rated therefore helping you sort through long list of movie and series that might not be of attention captivating to you. But with the website’s algorithmic suggestions and filtering, selecting the very best movie is as simple and easy. I won’t talk too much on this service as it does almost the same with the aforementioned services. TUBI TV offers free to watch movies and services. While it directly stream movies from big production companies such as Metro Godwin Meryers (MGM), LionsGate and even Paramount, you’d be surprised how awesome the service can be for new users. Another thumb up is the fact that registration isn’t compulsory as the service can be accessed directly. GET your internet well synced and then connect your computer or mobile device and enjoy. Just like MovieNinja.io, the Roku Channel doesn’t provide free movies but it links you to free movie services online. 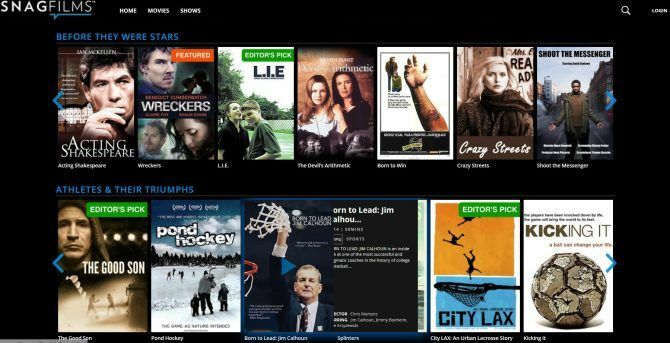 It’s a sort of an aggregator of both new and existing free-to-view movie contents. 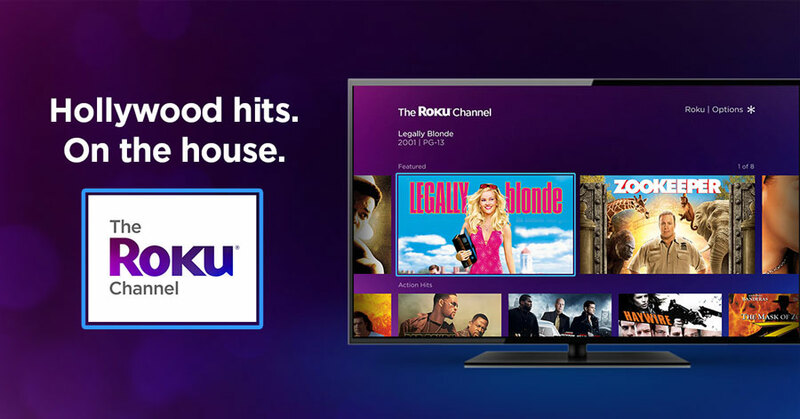 You’ll find movies from Roku partners such as Lionsgate, MGM, Sony and Warner, along with free content from existing Roku channels such as FilmRise, Popcornflix and Vidmark. Viewster is yet another big name in the free movie streaming business. While majority of their movies are animations, there are also some really interesting movies which you might be of interest to you. The platform also feature a really robust line of documentaries and even movies such as the Street Fighter II, Lily C.A.T Plus. All the movie streamed on Viewster are very legal making the website one of the top tier in the free online movie streaming provider around the globe. You can give it a trial if you especially enjoy watching anime-based movies. Although I’m not really familiar with this movie website, most people who have been there loved what they found. Being a real Netflix alternative makes the SnagFilms an interesting part of the interest. One particular interesting thing about SnagFilms is that they get to categorize everything on their website so well that it gives you an easy navigation through their catalogue of contents. Their categories span from “Before they were stars” all through to “Athletes & their triumphs,” and even SnagFilms specializes in fresh content. Their libraries aren’t limited to just movies. With more than 2K videos, you can select to watch different Documentaries, Shows, Films and even some short original comedy all which makes the platform an interesting place for those that want to stream movies for free online. I sincerely like PopcornFlix because they offer free full movies with limited ads. You might hate the ads part of things but afterall, you’re not paying for the service. With PopcornFlix, you’re able to see movies that range from Sunset Boulevard and A Clear and Present Danger to Murder on the Orient Express and There Will Be Blood…all which are interesting. Moies are also segmented into different categories such as popularity, genre, new arrival and staff picks all which gives you control of what you’d like to watch on the demand…all legal and free. Yidio has several categories of movies you can watch at any time anywhere so far you have access to a working internet. While movies are easy to find, it is extremely easy to sort films on Yidio by rating for example, you can sort through R Rated films or PG-13 and even G as well as through genre which includes animations, Classicals, Musical, TV Movie and Western. Documentaries are fun and educating. And if you’re a big of them, then you should try out the Top Documentary Films website out as you’ll be having access to a large archive of documentary films from different ages. You can even watch public domain documentaries all for free. 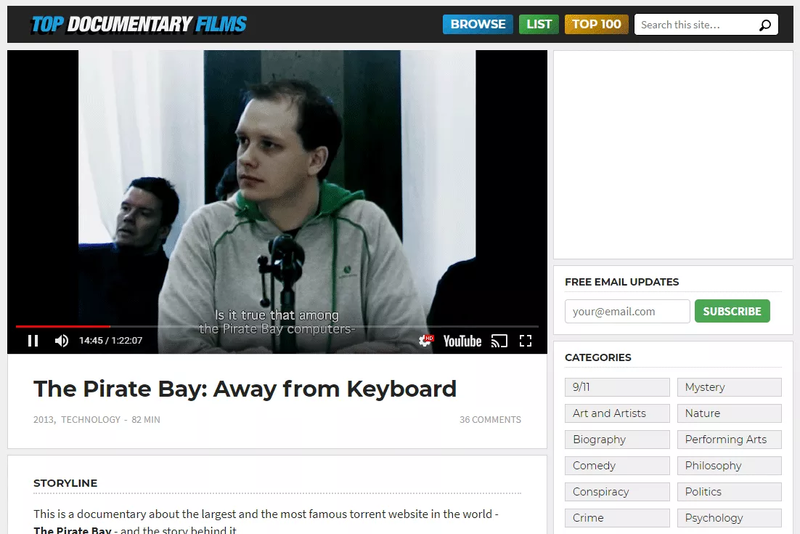 With lots of documentaries, they’re categorized in different ways for easy navigation. For example, you can surf through Technology, Society, Politics, Nature, Mystery, History, Conspiracy, Environment and so much more options. Some of the free movies you can see here include Children Full of Life, The Pleasure of Finding Things Out, State of Surveillance, The Immortals, Tashi and the Monk, Hubble: Universe in Motion, and Planet Ocean. If you’re not sure what to watch, the Top 100 page might give you some good ideas. Sometimes, you might just want these movies on your computer or smartphone so you can watch the later on. While most of these websites that take your account (Allowing you to create an account) usually offer the functionality of saving a video content for later watch, the best could be putting them on your computer; who knows where you might be the coming week maybe there won’t be as powerful network as you have already right now. Without further ado, let’s check out the top movie download websites in 2019. This website isn’t very new as it’s been there for quite a while. I stumbled upon the website when I was trying to download “The Dictator” by Sacha Baron Cohen in 2014. They offer a large catalogue of movie which can be searched through in categories. Even if you don’t know what to look for, you can proceed to searching the name of your favorite actor and movies which he’d appear will all surface. One big plus about HD PopCorns is that they offer their movies in 2 versions. The 720P version and the 1080P version. So you get to download any movie in high resolution which is really fascinating about them altogether. They don’t have the sexiest website you’ll come across on the web but they have a large catalogue of Television series and seasonal movies in their archive which can be searched through to get the latest. Their search engine is very powerful and can detect a movie by searching just a cast within the movie. On MoviesFoundOnline, you get access to loads of movies online. Their contents are free and legal to download. They have a long list of movies from categories such as films, documentaries, animations, stand up comedy, drama show and many others more. They also offers 40 genres including action, adventure, comedy, musical, short films, animation, romance, horror, and more. You can browse the site’s categories to download movies. There are even more movie streaming/download websites all over the internet. Some are really legal while some are virus ridden websites. But the aforementioned websites are great homes to watch movies and download free movies as they are released. HD PopCorns for example usually have blockbuster movies just weeks after they’re officially released to the public as well as other free streaming websites like Crackle. Let us know which is your best and if you have stumbled upon a better service that is not listed on this page, do let us know in the comment form below. I recently found a FREE movie website which updates content daily, has no popup ads and doesn't need your email to display videos. Its called freemovies365.com. Be sure to check them out because I recommend it.